Benefits of installing rooftop solar system a | SHAMS POWER SYSTEMS PVT.LTD. 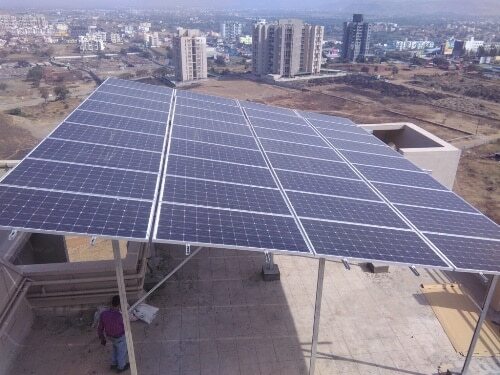 Benefits of installing rooftop solar system at residential, Industrial and commercial building. 1. Reduce or eliminates electricity bills. 2. Earn tax credits and rebates. 3. Starts saving from day 1. 4. Help the internment and help us all. Contact shams power system Pvt. Ltd. for bookings of solar rooftop plant, Solar pump, solar street light and biogas plant.